Can Chef Sertan Cavusoglu sell Istanbulites on American barbecue? Chef Sertan Cavusoglu rips open the package of Lucky Dawg’s American beef rub and inhales deeply. “Amazing,” he yells to his line cook. 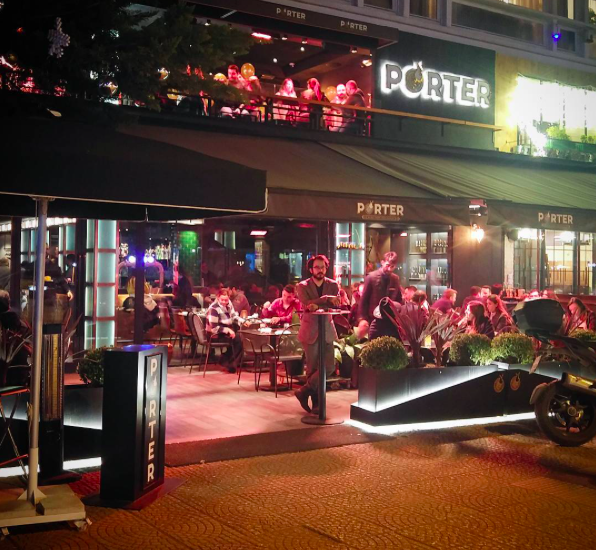 “Smell this!” We’re standing in the kitchen of Porter BBQ on Istanbul’s upscale Baghdad Avenue. A tiny cloud of paprika and garlic puffs up toward the fluorescent light. The thick tang transports me back to barbecue joints in my native Houston. Cavusoglu and his partner, Cem Boyvadaoglu, who opened Porter BBQ at the beginning of 2017, are hoping to win non-natives to Southern American staples like smoked brisket, macaroni and cheese, and fried chicken. 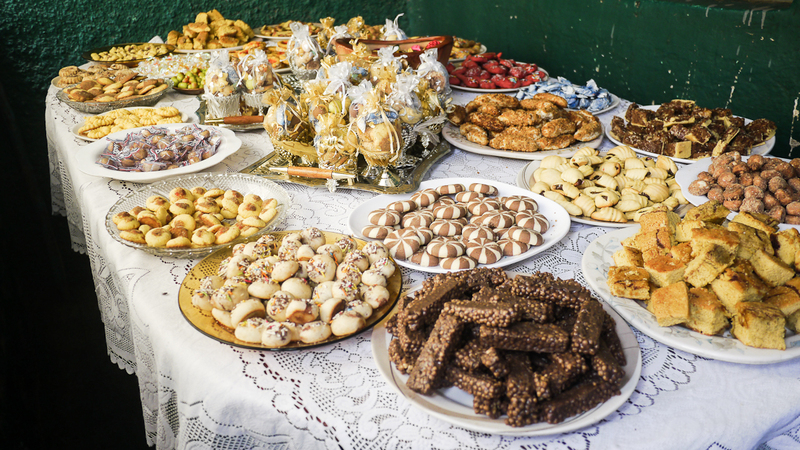 In a country characterized by political upheaval, food is sacred. Even so, Cavusoglu thinks that BBQ has a future here. Grilled meat, after all, is a staple of the Turkish diet. The brown sugar and vinegar that flavor American barbecue are not found in local meat dishes, but the black pepper and paprika found in most barbecue rubs is not so different from the red pepper, salt, and onion that seasons Adana kebab. Sertan Cavusoglu is in his early forties. He wears rimless glasses, has very short hair. He works quickly. His nickname is the “Turkish Tornado.” Does he yell in the kitchen like those celebrity chefs on TV? “Only when I have to,” he says. When he needs to add profanity to strengthen his point, he wields Spanish words, a nod to the hours he spent in hot kitchens with Latino cooks in swanky joints like The Ritz-Carlton and St. Regis. Sertan grew up helping his mother roll cheese börek, a crispy fried pastry shaped like a cigar. He liked cooking but wanted to be a pilot. But poor vision harpooned his flying dreams. He had always wanted to go abroad so after high school he moved to Orange County and enrolled in the Art Institute of California. From his fourteen years in Southern California, Cavusoglu learned that Americans will try a new restaurant just because it’s new. He guesses that 80 percent of Porter’s customers have traveled abroad. They tried non-Turkish food and survived, and are willing to try meat smoked for 8 hours in a giant Southern Pride commercial smoker, imported directly from Tennessee. There is still a learning curve for locals. One customer saw the pink smoke ring around the sliced brisket and wanted to send it back because she thought the meat was raw. 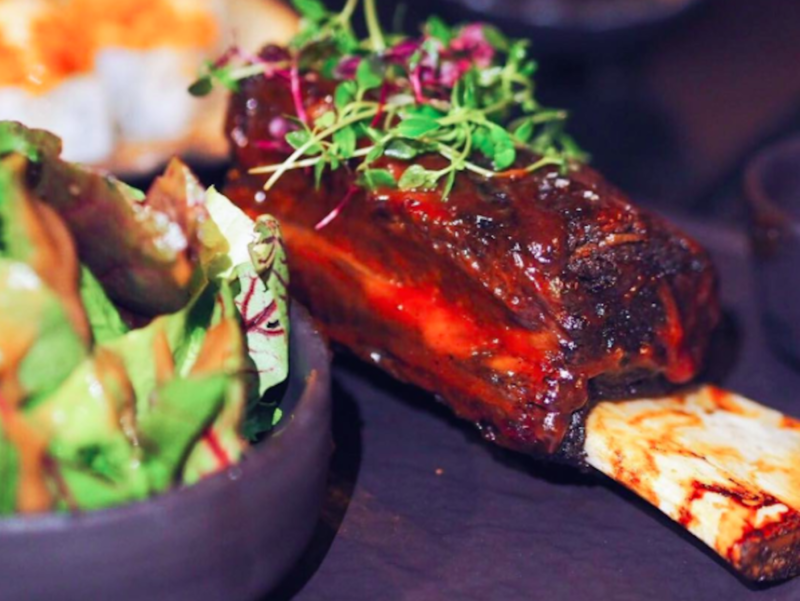 The chef can recreate the spices and sauces he learned in California, but he doesn’t have access to different smoking woods like hickory or mesquite. Oak is good enough and easy to source locally. The quality of the meat is inconsistent, too. Turkey has a food and agriculture ministry, but doesn’t regulate quality or process. There are no USDA grades of meat or feedlots that deliver corn-fed finished cows. Early on, one of Cavusoglu’s briskets spent 8 hours in the smoker and still came out chewy like rubber. Cavusoglu complained to the supplier who confessed that that cow had been pregnant. The chef had to throw it out. Initially he made his sauce by adding paprika, garlic, brown sugar, and pepper to onions, gradually cooking the mixture down to a demi-glace. After a few months, he began adding Hines Barbecue Sauce to make the finish more acceptable to the Turkish palate. Western-themed restaurants regularly make changes like that here. The nearby Papa John’s was forced to add ketchup to its pizza sauce and use bologna instead of pepperoni. Such concessions disappoint foreigners but give theses places a better chance of survival. Americans think of barbecue as cheap and accessible, but the presentation and prices at Porter cater to more well-heeled Istanbulites who are willing to pay for a foreign food experience similar in cost and form to PF Chang’s and Jamie Oliver’s Italian, two more new arrivals to Istanbul’s small but growing international food scene. Porter’s atmosphere is clean and casual. Waiters in blue oxfords and black suspenders pad past the green subway tile accent wall over the slate floor with trays of red and yellow chilled cocktails with names like the Lamb’s Ear and Forest Gump. Boyvadaoglu explains that fine dining is too intense. He wants the food, not the pomp, to be at the center of the dining experience. Porter’s Zomato page shows 4.3/5.0 rating. Ratings are important to attract new customers but, Cavusoglu laments, even chefs like Alain Ducasse get bad online reviews from diners. Chef Cavusoglu met Yigit Gunal when they both worked at the five-star Raffles Hotel in Istanbul. Yigit now manages Porter. His guitar-themed tattoos reveal a love for American rock music. He worked as a bartender and waiter for two years in New Orleans. He was playing his Fender Stratocaster and singing when someone knocked on his door. The African American gardener at his apartment complex asked him, “Was that you playing or a recording?” Gunal studied the man’s face and waited for a rebuke for making a racket. Instead he got invited to a jam session at a blues bar. Now, on weekends, Gunal takes a break from his regular duties to play and sing blues at the end of Porter’s black marble bar. The restaurant’s clients need to learn what a brisket smoke ring is. But Gunal also hopes to educate them about about the sounds of B.B. King and T. Bone Walker. The word is starting to get out. One diner told me, “An American wind blows through this place.” I felt it, too. It smelled tangy, mesquite, a little like West Texas by way of the Black Sea. Ryan Wolf lives and writes in Istanbul.